Watch out! There are so many dangerous enemies, so, as you have already understood you must kill them all and pass a lot of levels here. Well, are you ready for that? Then just enjoy the game and be sure that you will cope with it. Wow! The best character is already waiting for you! This time you are going to explore each area and kill all the monsters. There are a lot of them, that is why just choose the best character and collect all the useful things and just kill them all at any rate! Well, are you ready for that? Then use the arrow keys and avoid all the obstacles on each level. So, is everything clear? Then just do everything right and you will cope with it. Enjoy the game and have much fun. 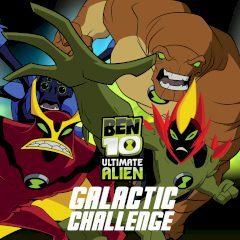 We wish you good luck and play with Ben10 right now.